Seakayaking in the beautiful Shetland islands in Scotland – including a trip to remote Foula, a terrifying open crossing in a thunder storm, paddling with ganets and exploring amazing caves. 10 minutes. 16 x 9. 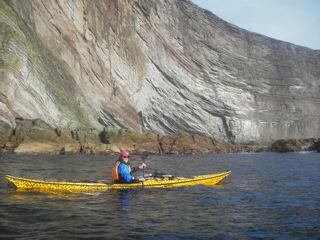 Seakayaking in the beautiful Shetland islands in Scotland – including a trip to remote Foula, a terrifying open crossing in a thunder storm, paddling with ganets and exploring amazing caves. 10 minutes. 350MB. 16 x 9.